Byrgenwerth is positioned on the shore of this great lake. It is a vast, open field of shimmering, silver water. Here you may encounter Rom, the Vacuous Spider. 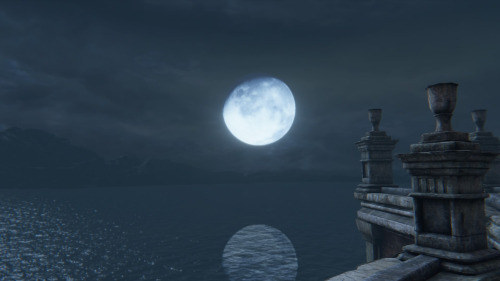 You may even catch a glimpse of Yharnam, Pthumerian Queen if you jump into the water. There are no Messengers at the Moonside Lake lamp.